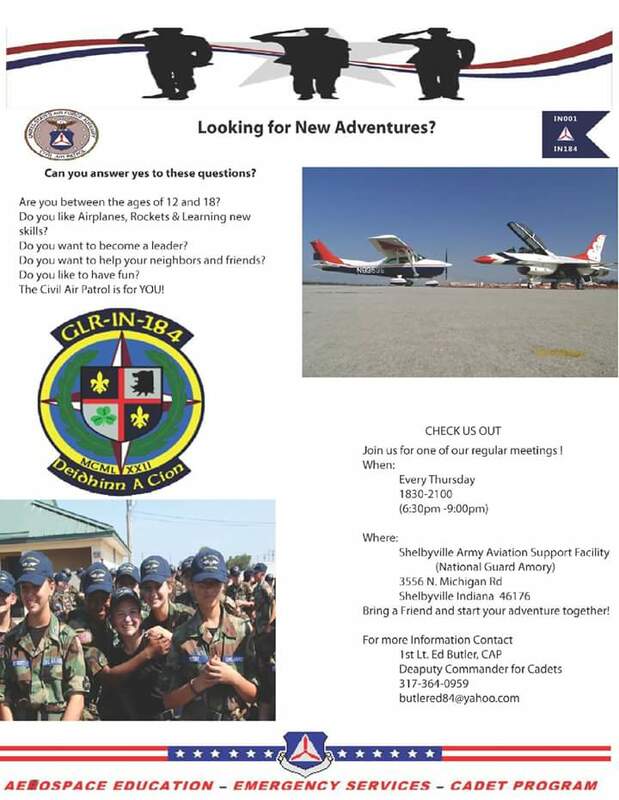 If you are interested in airplanes, rockets, learning new skills, and leardership, you might want to join the Civil Air Patrol. This patrol is for anyone ages 12-18 who is interested in these things. Join us at the National Guard Armory from 6:30pm to 8pm every Thursday to learn and have fun.